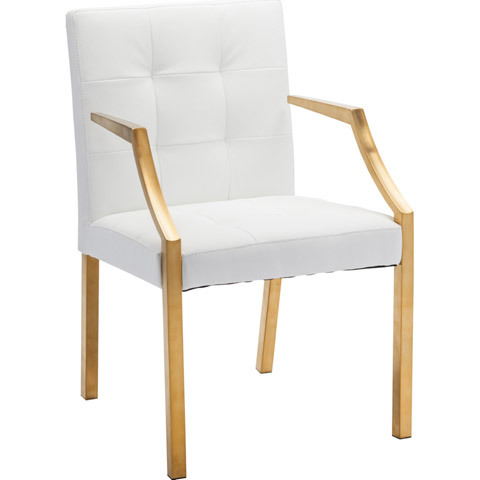 The Paris Dining Chair features bold, modern sophistication perfect for your dining space. 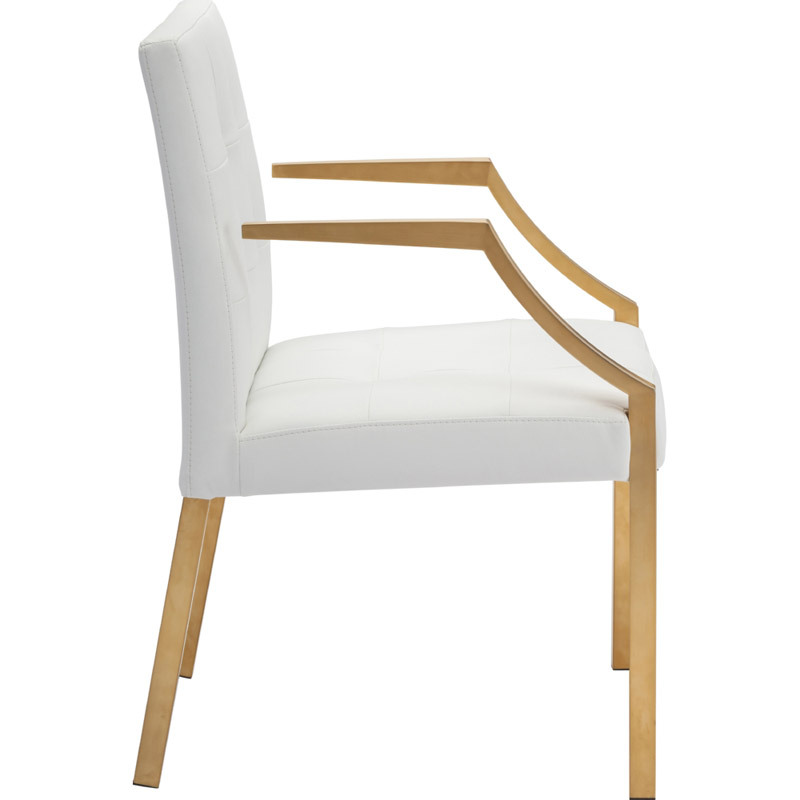 A unique arm design, in which the arms are not connected to the back of the chair, give Paris a distinct silhouette ideal for ensuring your dining room is both comfort and looks. 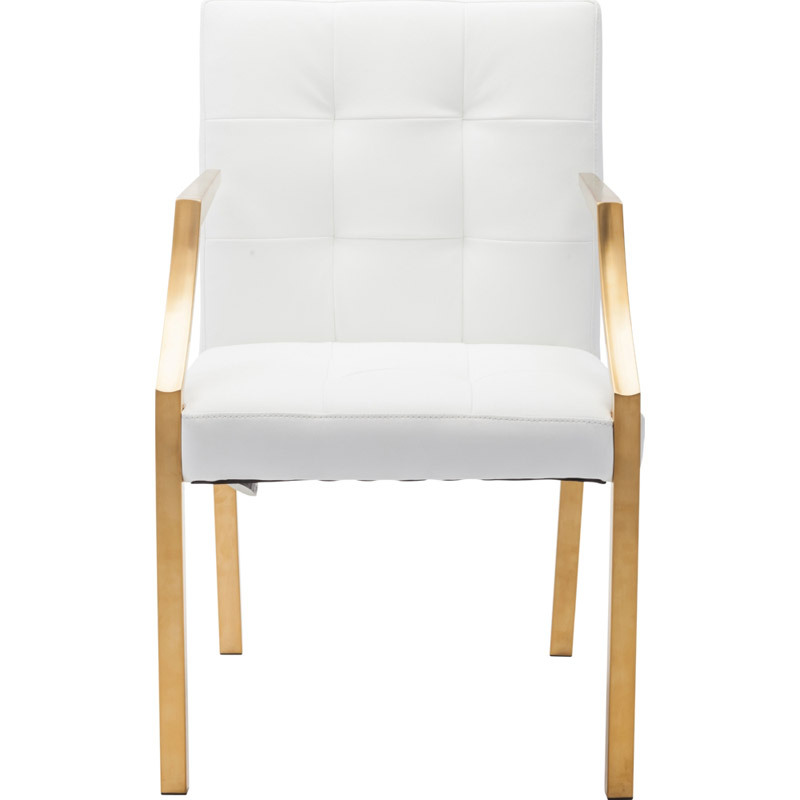 Paris is constructed with a sturdy stainless steel frame supporting a plush naugahyde (vegan and earth friendly!) seat. Available in a gold brushed steel and black or white seat.